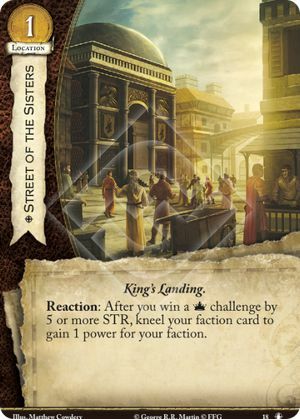 Reaction: After you win a challenge by 5 or more STR, kneel your faction card to gain 1 power for your faction. I initially added this to a power rush deck and upon testing took it out. If you are running superior claim, this actually undermines triggering that card as your opponent will see this card out and not want you to win by 5 or more. With a Superior Claim you can surprise them.